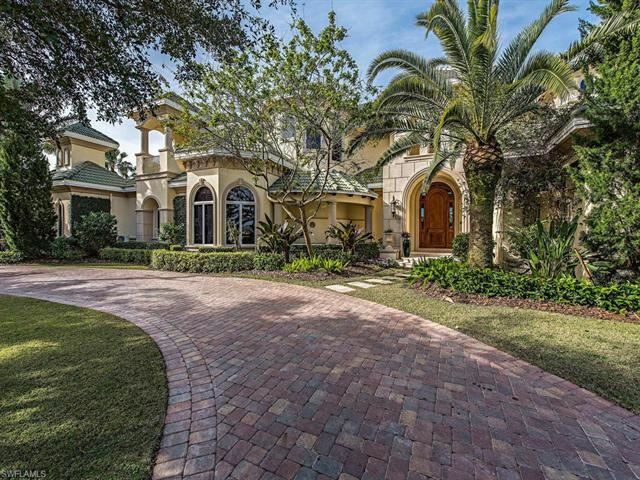 H.14168 - Luxury unfolds in its most functional form in this Jeff Harrell designed Caribbean-plantation-style and gated Gordon Drive compound. Formal living is presented through inviting resort-style spaces that offer unobstructed Champney Bay views of the estuary and beyond. Soaring coffered ceilings and intricate wall paneling frame the most exquisite details throughout this enviable home. A gourmet kitchen with 6-burner gas stove and extended island generously gives way to an expansive morning room with picture windows overlooking lush tropical landscaping and long bay vistas. The outdoor space provides the perfect setting for entertaining across several covered seating areas that include a fireplace and scenic Koi ponds. Enjoy your private boat dock and secluded beach cove just steps from your back door. An ideal family retreat with separate 3-bedroom guest house and theater room. Perfect for the avid collector with air-conditioned garage for 8+ automobiles and a wine cellar for 1000+ bottles of your favorite varietals. This property also qualifies for a full Port Royal Club Membership. I am interested in more information about 3675 Gordon DR.